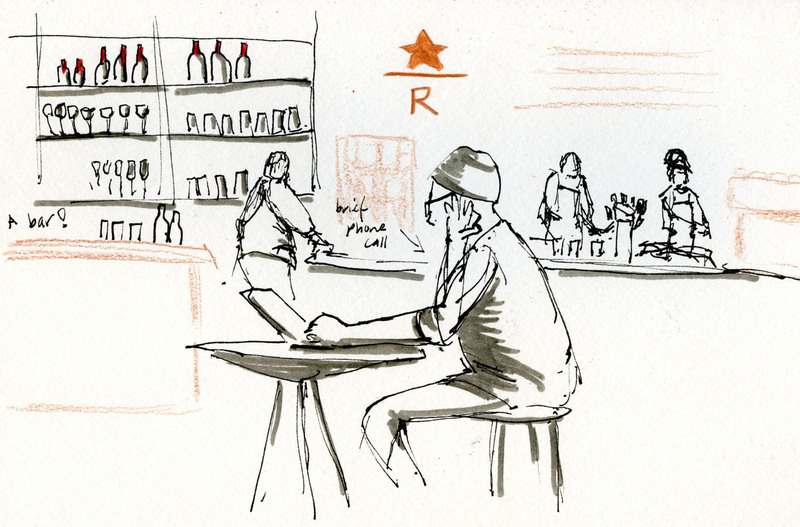 A few Saturdays ago I dropped in at the new Starbucks Reserve store and café in the SoDo neighborhood, but it was too crowded to sketch. This week I went on Tuesday morning, when the crowd wasn’t bad at all, but it was lively enough to be fun and energetic. 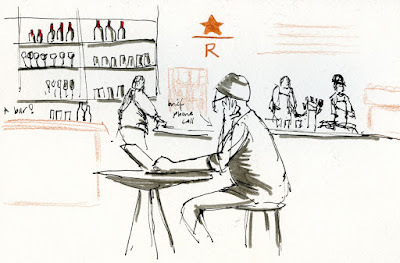 Like the Roastery, where I’ve sketched many times, it has a pleasant ambiance, and all the employees seem so happy and friendly. Although the beverages and pastries are overpriced, they come with impressive customer service, so I enjoy indulging now and then. 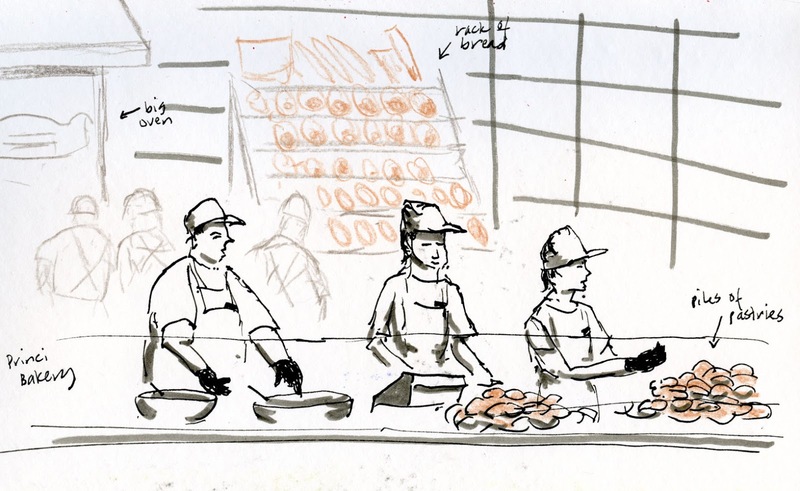 After sitting down with my coffee and chocolate croissant, I turned one way to sketch the Princi Bakery counter, where people were busily baking and selling pastries (you can get healthy stuff like fruit and granola too, but I get enough healthy food at home). 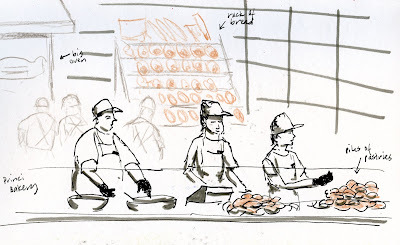 Then I swiveled 90 degrees and sketched one of the coffee bars and a bar bar – yes, you can get wine, beer and other drinks there! And the obligatory patron staring at his laptop, of course.